Is it ironic that Leah’s bedtime story has been the Three Little Pigs? So today we had another wonderful couple from church bring us over a meal for dinner. What I enjoy most are the quick visits with the people, getting a chance to know even just a little bit about them. 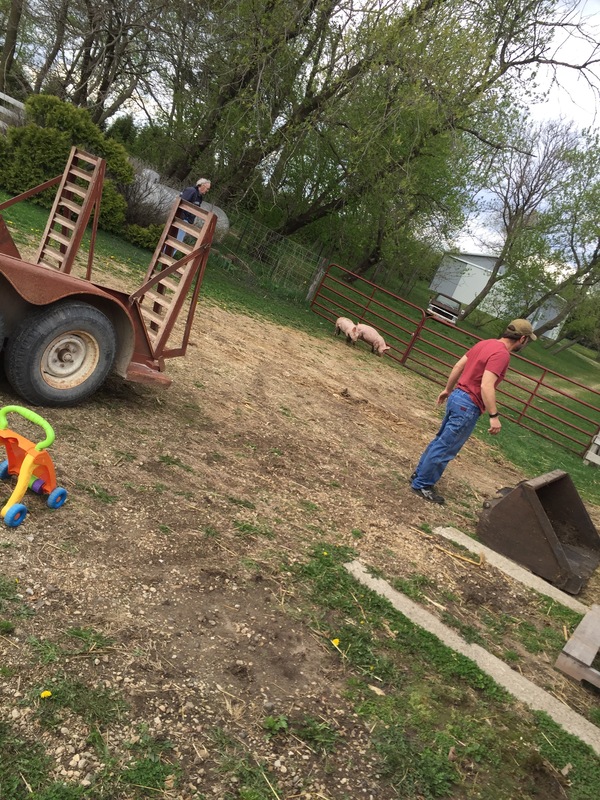 While we were finishing up our visit with the people from church another friend of ours, Ron, stopped by so Asher took him around the farm showing him all the livestock. Thankfully the people from church left before our “fun” began. While Ron and Tim were talking in the kitchen something caught my attention out the window. “Ummm is there a pig in our yard?” And just like that Tim and Ron were outside and sure enough yes, there were NINE 🐖🐖🐖 running around in our driveway! 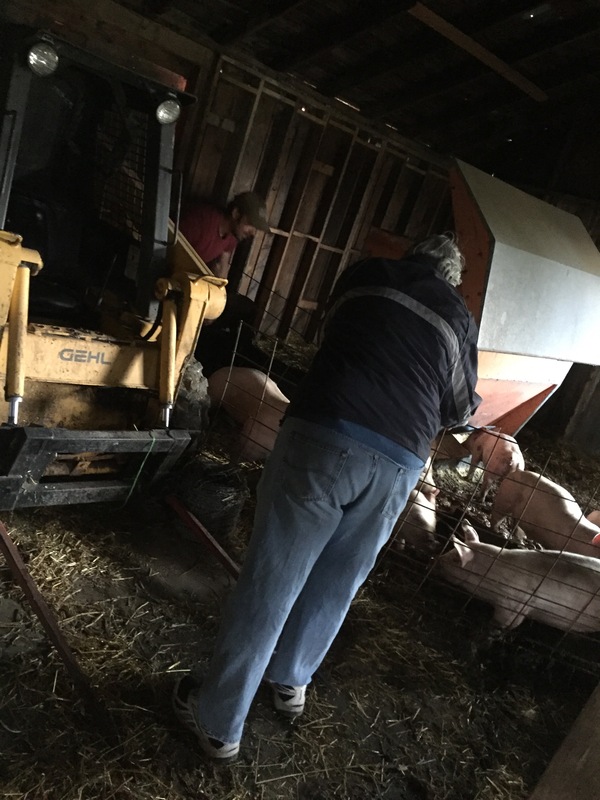 Okay, I had a doctor’s appointment in Waterloo this morning so I was sore from driving and being out in the real world 😜so I was definitely no help because I was not moving fast…well, fast enough to snap some pictures before they got them all back in the barn! 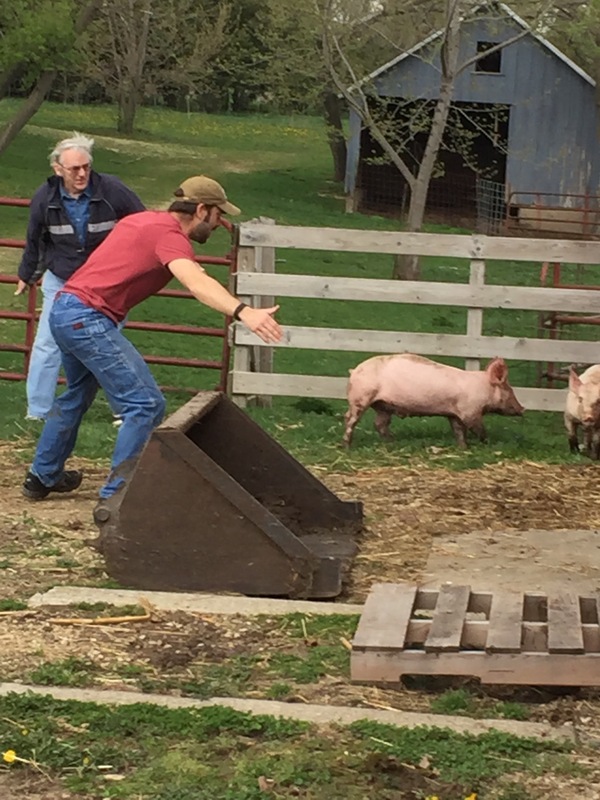 Once they got the pigs back in the pen Ron and Tim came back in to pick up where they left off in their conversation…only for me to once again walk into the kitchen about 15 minutes later, and catch a glimpse of something pink outside the window. “Ummm is that another?” And before I finished the sentence Tim and Ron were back outside. 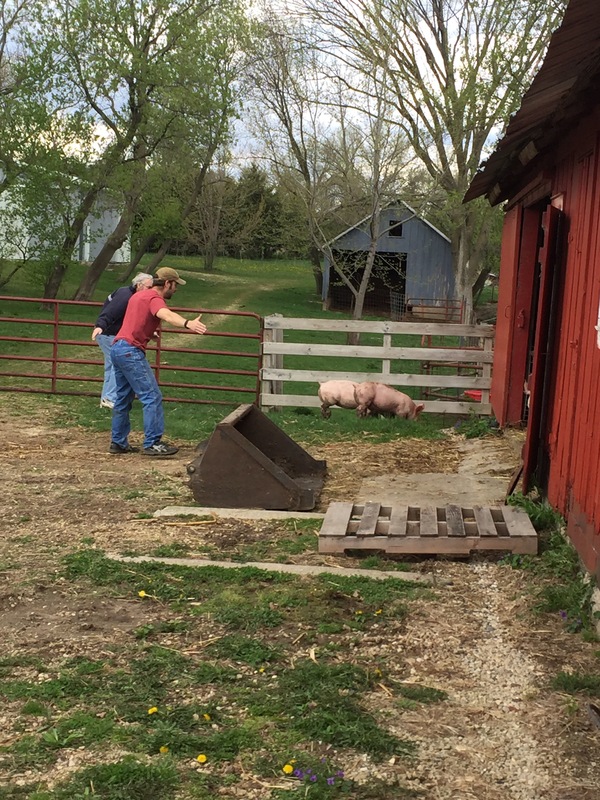 And sure enough a few more pigs had gotten out so Tim did his rigging of gates to make sure they didn’t get loose again! 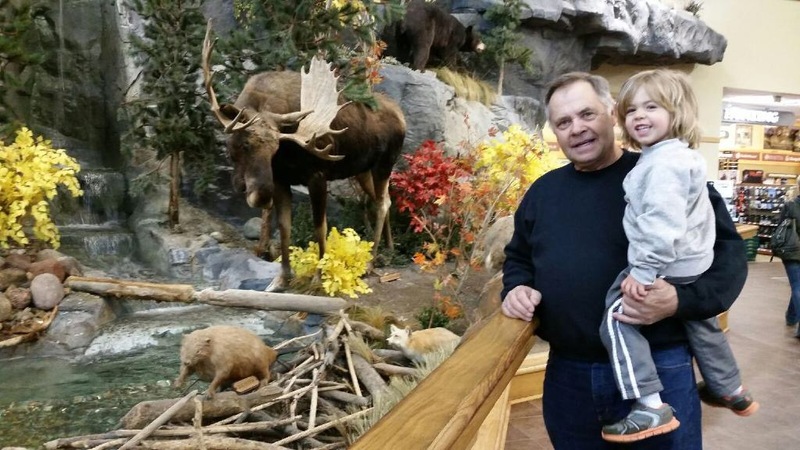 And as much fun as Asher had with grandpa and grandma…which one day was spent at Cabellas so I can’t tell who is happier…grandpa or Asher? !😍… I was soooo happy to have my little guy back home with us tonight!! And on a side note, dinner was once again delicious but all the excitement of the day has worn me out so I am off to bed! Overall, just another day in our crazy life🤓 Good night!